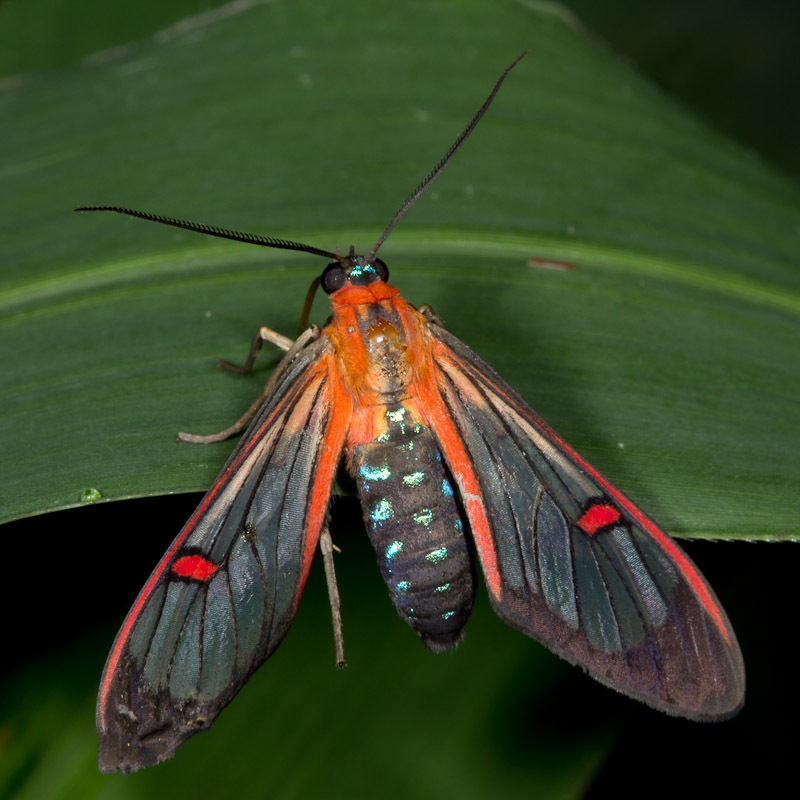 This colorful moth in the family Arctiidae looks a little worse for wear. Nonetheless, it’s quite striking and I’m sure a fresh specimen must be even more so. I later saw another one of these near a porch light so it might be a common species. While searching for a possible identification, I came across this blog posting. It describes how hundreds of caterpillars were invading people’s home in Piracicaba, São Paulo. With the help of a biologist, they found both the host plant and some pupae for rearing. What emerged looks very much like the moth above, identified as Cosmosoma teuthras, a common moth throughout Brazil. Check the site for photos of the caterpillars, pupae, and an adult. I have no idea if there are similar looking species, but it seems like a good possibility for what I found.